Also find our products in markets and restaurants. Visit of the farm. 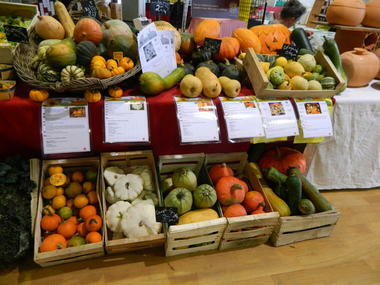 Great diversity of vegetables and small fruits organic and old. Sale at the basket and in the Ti Boued producers' shop in Gourin. Opening of Ti Boued in Gourin: Wednesday and Thursday from 16h to 19h, Friday from 10h to 12h30 and 16h to 19h, Saturday from 10h to 12h30.